Description: Social media present plenty of opportunities for advancing your career, helping to get access to people and job openings. There are ways though, that they can damage your reputation and personal image and deny you access to the job market. 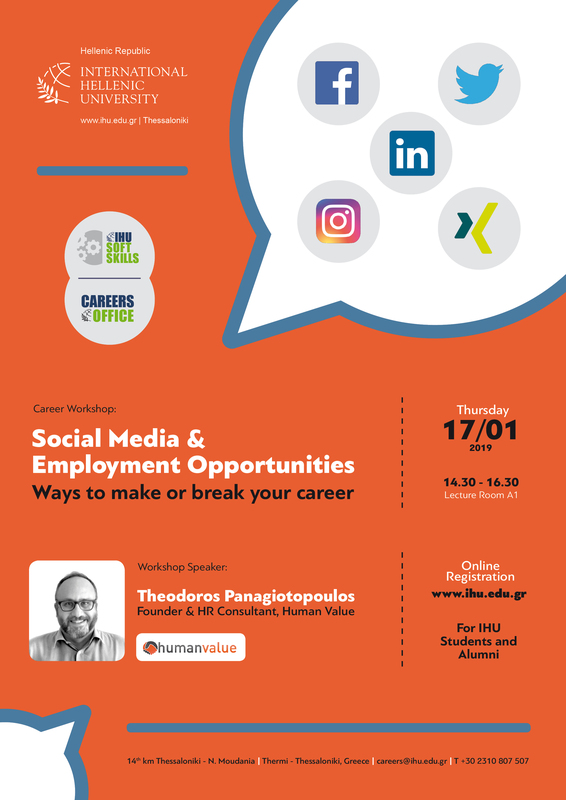 In this workshop, we will see what you can do to use Social Media as tools for job search and what mistakes to avoid.